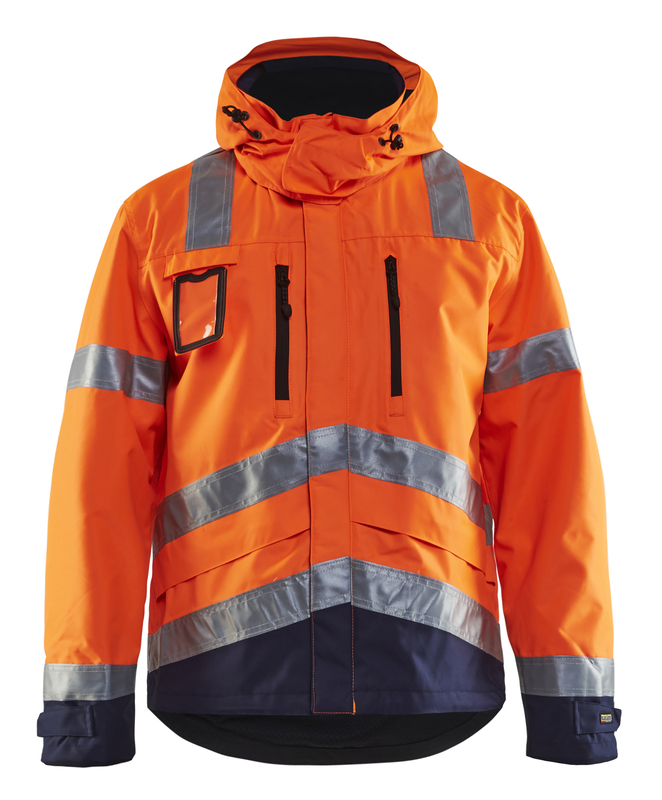 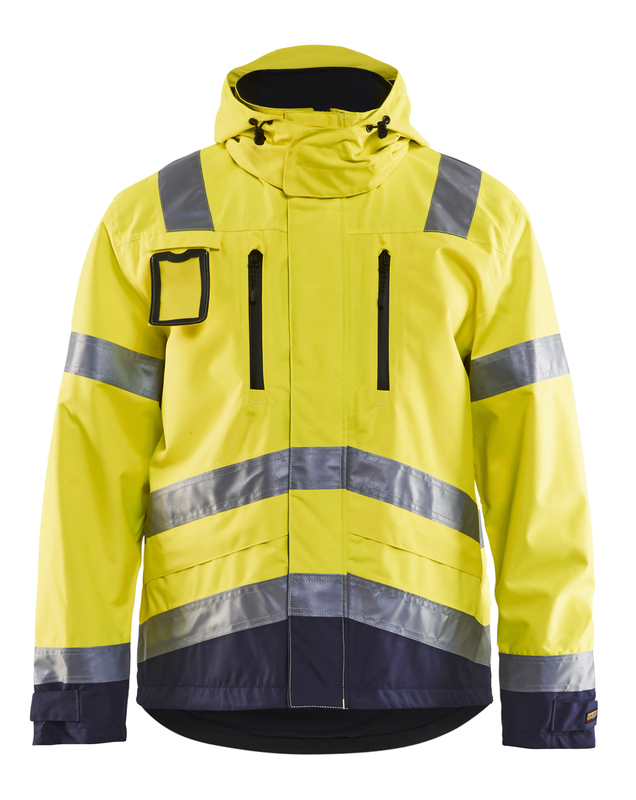 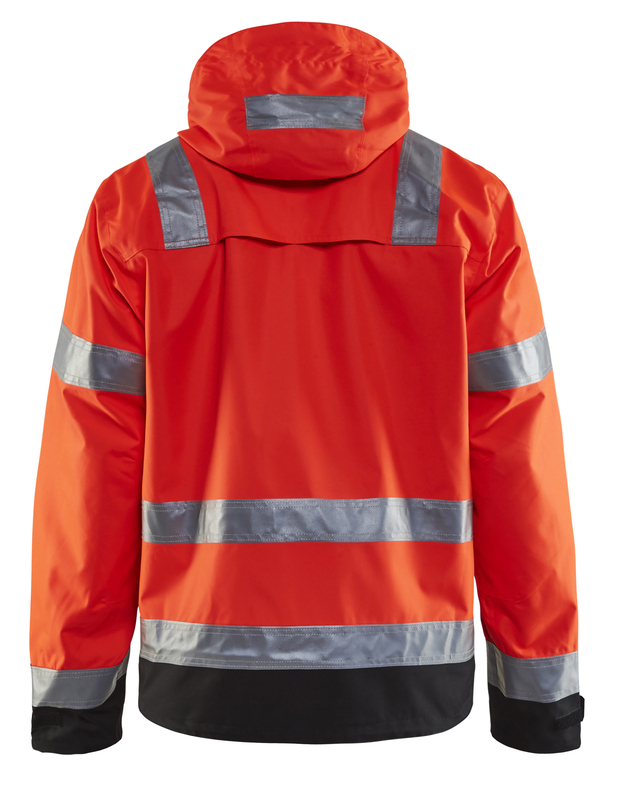 Light weight, wind and waterproof functional jacket with taped seams. 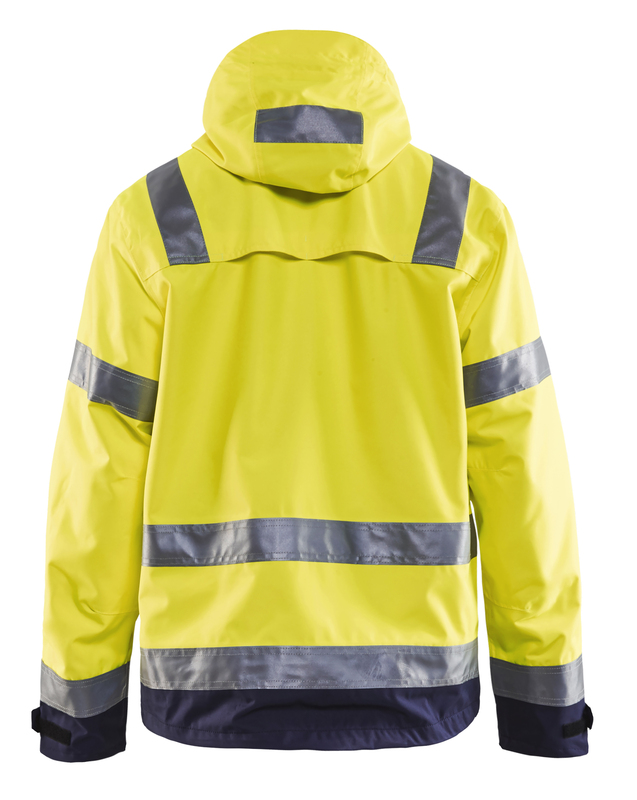 Mesh lined with drawstring in the waist and lower part of the jacket. 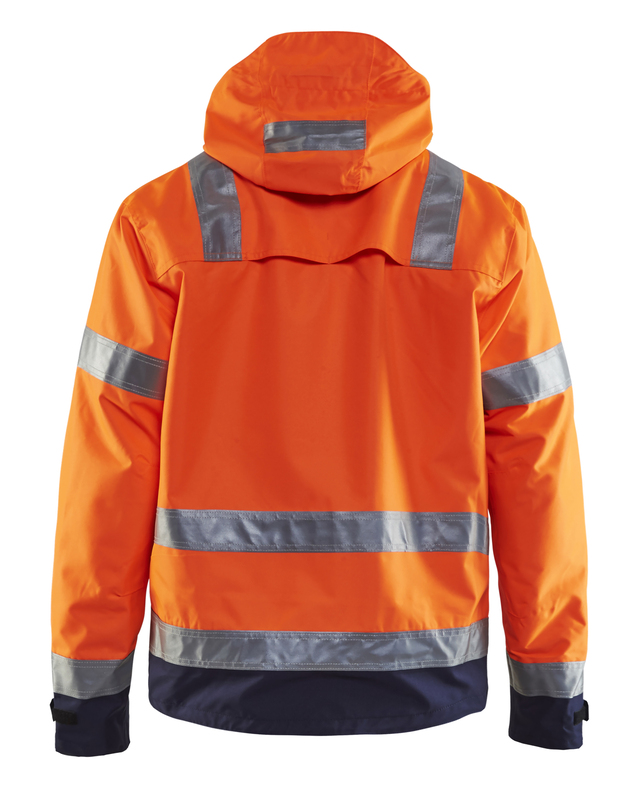 High collar with full length zip for snug protection. 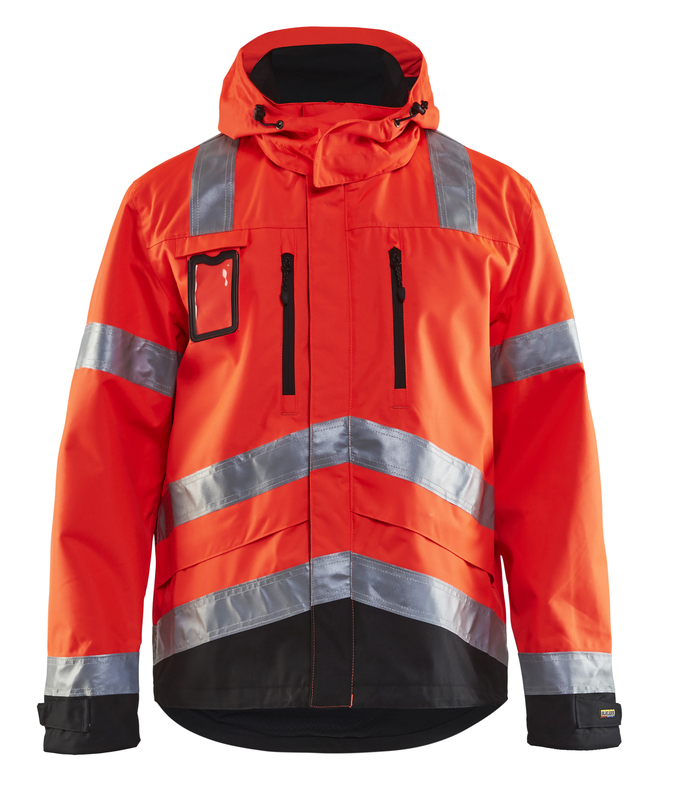 Certified according to EN 471, XXS-XS class 2, S-XXXL class 3, protective clothing with high visibility, and EN 343, protective clothing in bad weather.